ADVENTURE is...finding a new path...Out West! Not too steep and not so busy, take the route less traveled. 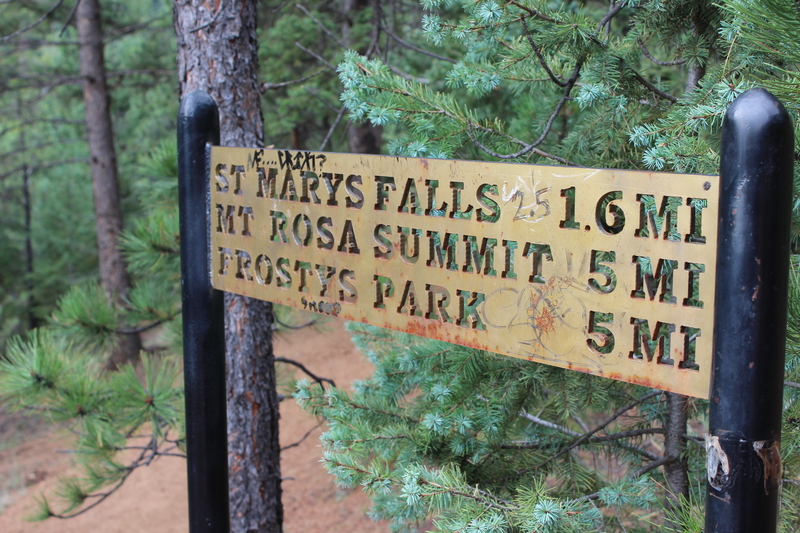 This trail starts on the Short Line Rail Road Grade and slowly climbs to the trail head at 8000′. 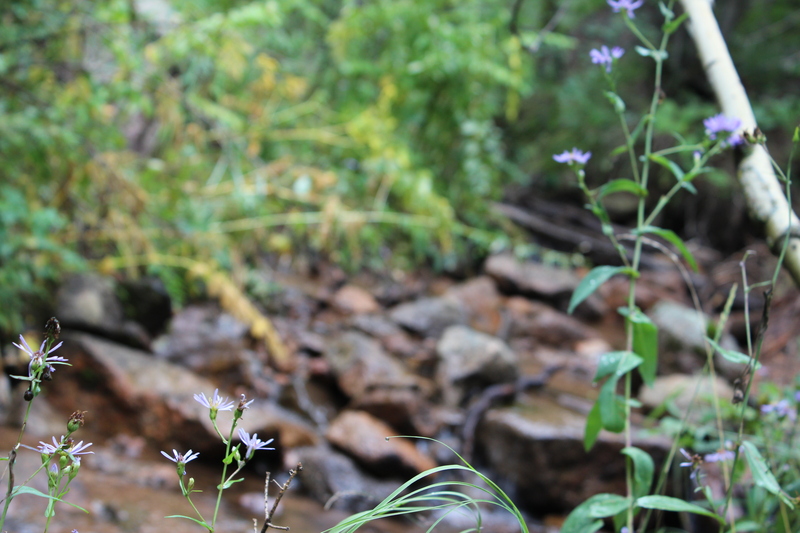 A gentle start gives way to lush forest tucked along Little Fountain Creek. The babbling brook is a charismatic friend along the way that leads to the base of St. Mary’s Falls. More of a cascade than a fall, it is a worthy destination for sights, sounds and meditation. Upgrade-Continue up the route another two miles past the falls and into Frosty Park where an AOW Jeep will pick you up. This is a great option for those who are looking for a little more adventure. Our experienced guides will bring you back to town via the historic Old Stage Road. A great adventure on Pikes Peak. 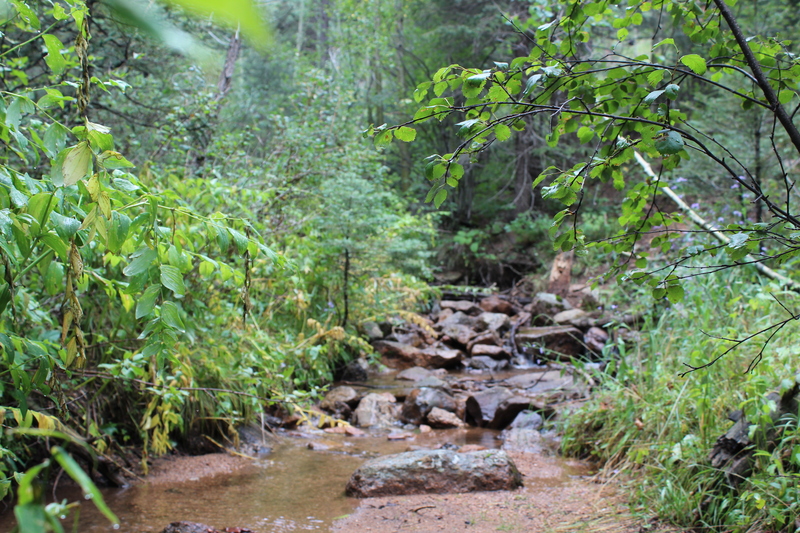 This trail follows North Cheyenne Creek and crosses the stream…(you got it) seven times! On this three hour adventure you and your guide will enjoy a stroll up to 8500′ in elevation. The trail starts on a gentle railroad grade for about a mile, easing you into your high altitude adventure. 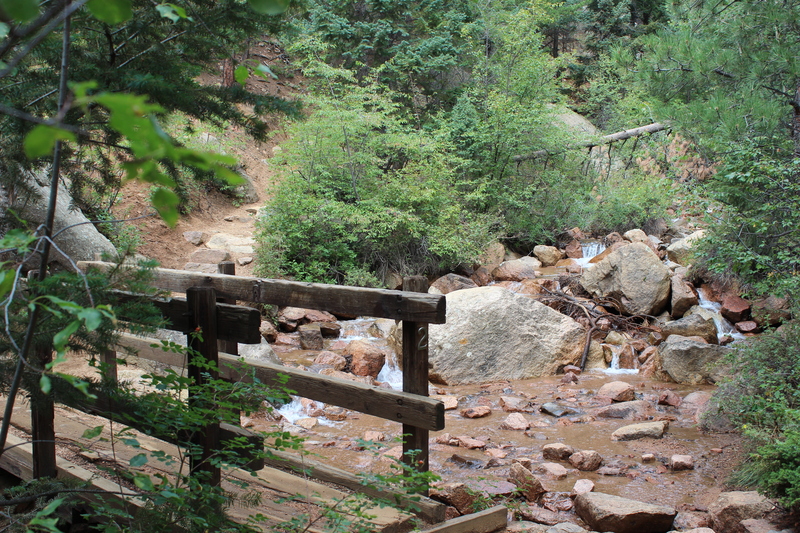 The hike climaxes with a beautiful waterfall cascade and a class three scramble over classic Pikes Peak scree and returns via the same route. This trail is a local favorite. Team building, corporate outings or a gathering of friends. Call it what you want, but your team qualifies for a group. Our group hike will be customized on the spot to accommodate all guest’s needs and abilities. From easy to advanced, your team’s hike will be a success and a time to remember. All group hikes start on the Gold Camp Road trail head and start as a group together. Our guides will assess your team and determine each person’s ability during the gentle start. Various side routes along the way ensure your guests will get the level of adventure they need and all teams end up back at the finish line together. How can we do this? Because AOW is amazing:) and we have years of experience leading guests on this adventure. All hikes include transportation from the hotel or nearby location. Water and snacks are included. A guide ratio of 1:6 is provided. Upgrades can include a 4×4 transfer for added pizzazz. The only outfitter permited by the Pike National Forest to lead hikes in the Historic Cheyenne Canyon Watershed. 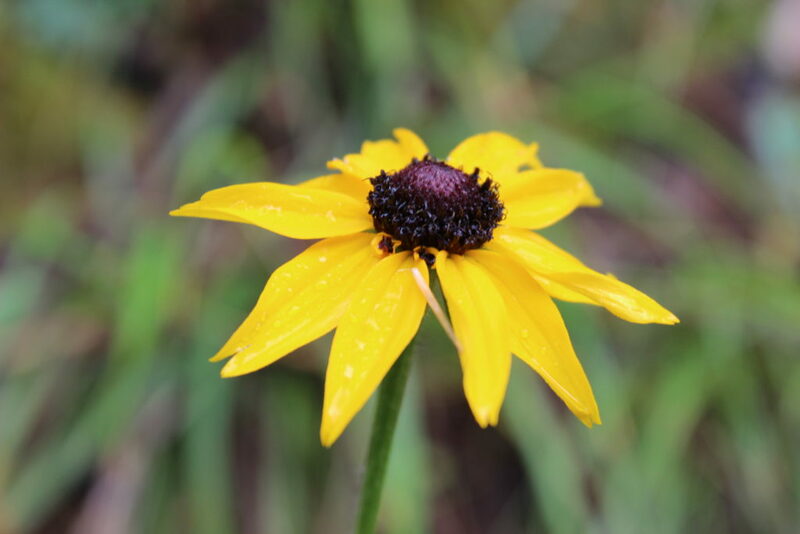 Our day hikes are a great way to see some scenery, learn about the area and get some exercise at the same time. 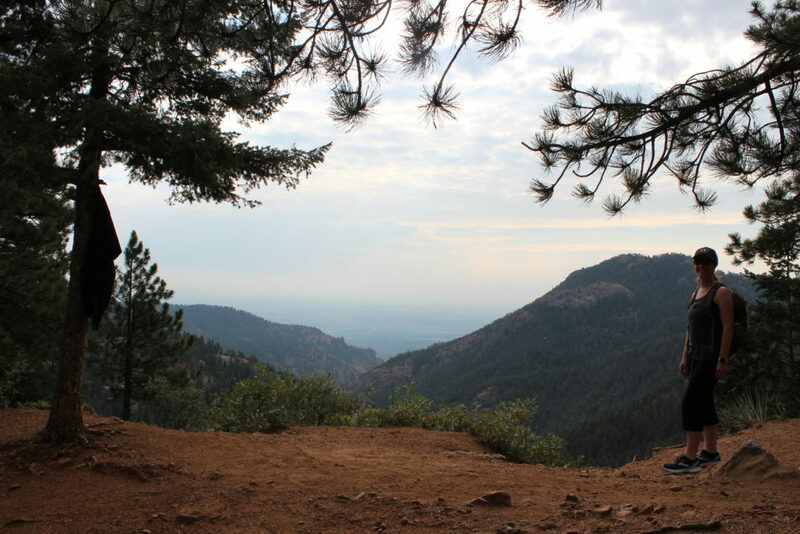 All hikes include transportation to the trail heads that are just a few miles from downtown Colorado Springs. Access to amazing trails this close to town is a rare commodity and you will not be dissapointed. All hikes include an AOW guide, transportation, water and basic first aid if needed. 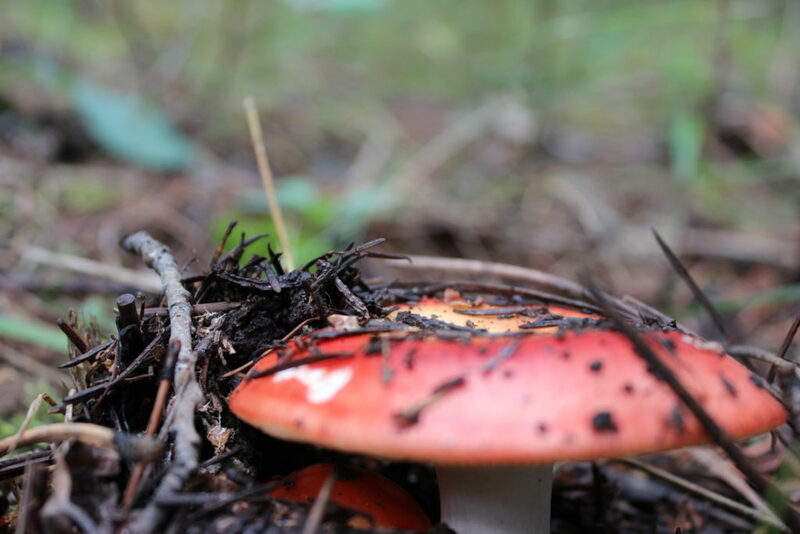 Our hikes are in the forest. Wildlife, loose rocks and amazing scenery can be encountered. Guests should check with a medical professional before booking a hike at elevations up to 10,000′. Appropriate footwear is closed toed and laced up. Flip Flops are not welcome. Sunscreen, a light jacket and an appetite for adventure is recommended. Our guides are Colorado Springs locals with a spirit for adventure. The guide will ensure your hike is full of the right amount of memories without too much, how to get it done. A nice mellow pace ensures your time with us is just what you need. Adventures Out West is a permitee of the Pike National Forest. We do not discriminate and are an equal opportunity employer.